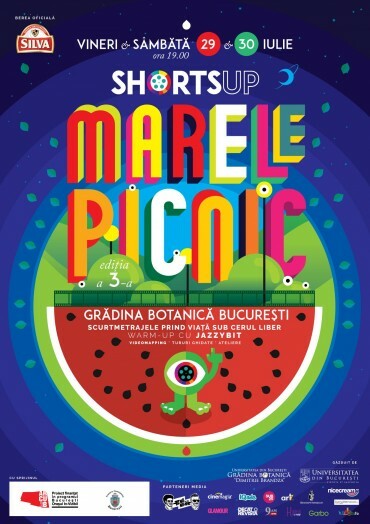 Every year, at the end of July, the Botanical Garden of Bucharest becomes a holiday destination in the middle of the city, hosting two nights of shorts films, music, multimedia shows, workshops, street food and many more activities with the only purpose to relax and escape from the hot summer days. 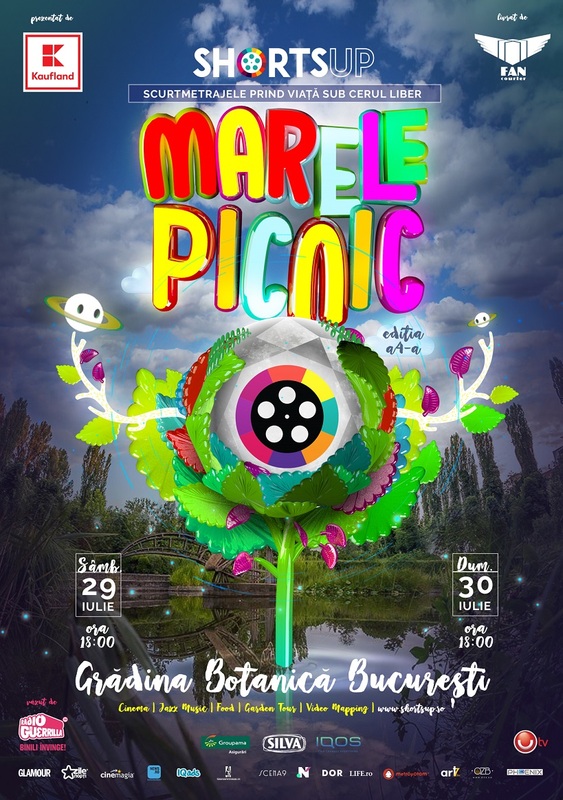 Saturday, July 29 and Sunday, July 30, starting 6:00 PM get ready to be part of the biggest outdoor cinema event in Bucharest. 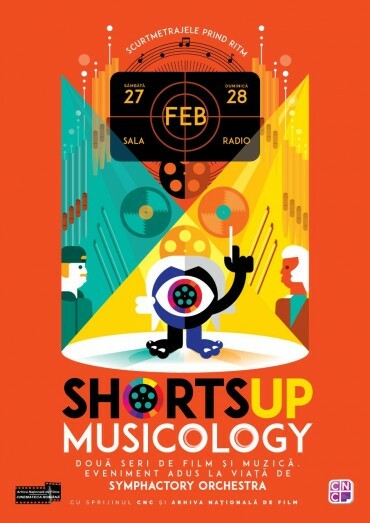 Like any other ShortsUP experience, this is a foreign-friendly event, therefore all the short films will also be accompanied by english subtitles. Magic starts from the inflatable screen anchored among the trees to create the summer’s favorite cinema hall. 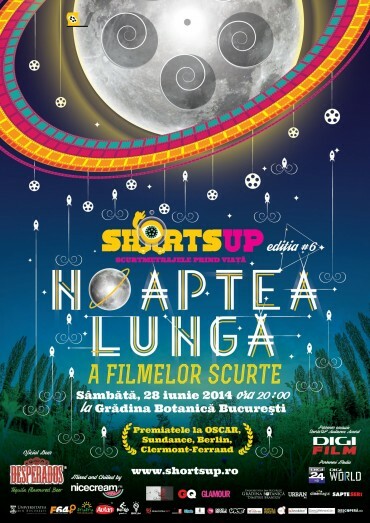 Two different short film selections, projected after the evening, will bring to life the stories of the present. Short stories gathered from all corners of the world, about people who change the world, about freedom and escape, about possible worlds. Saturday, starting 7 PM, you can enjoy a jazz and funk performance by Ana Dubyk Cvartet, perfect to listen to under the summer sky, to dream or to dance in the grass. We will also have workshops for families and children, garden tours, 3D live drawing on trees, Frisbee and slackline courses, a playground area, a hammock lounge just perfect to stay away from the sun before the movies start and an absolutely delicious pop-up food court with burgers, pizza, paella, hot dogs, veggie goodies, frozen ice cream and many, many more! Until 21:30, the time when the screenings start, you have enough time to relax and spoil yourself, just like a weekend holiday. Put your picnic blanket in the backpack, come in the mood for binging some good shorts movies and chilling on the green grass. IMPORTANT: If the weather does not allow the event to run smoothly outdoors, it will be rescheduled for the next weekend (5-6 August). All tickets purchased will remain valid. NOT allowed to bring food and drinks from outside the event area. We will have a food court in the garden with a lot of goodies. Children until 12 years old have free access, but the films can ONLY be watched with the consent of the parents. Join our Facebook event right here. 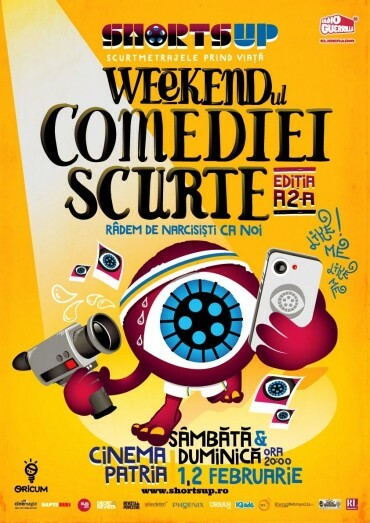 Tickets can be purchased in advance via Eventbook or Eventim network at a price of 25 lei/night and 40 lei/full pass. 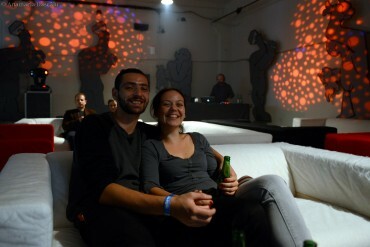 At the door you will pay 30 lei/night or 50 lei/full pass, subject to availability.